Cyrsti's Condo: Walked on the "Wild Side"
Walked on the "Wild Side"
Of course I noticed immediately the passing of Lou Reed, of the Velvet Underground fame. Lou Reed appeared on the scene as I was questioning my gender identity seriously for the first time. I say seriously because down deep I knew cross dressing was just not going to be an end all solution for me but I was afraid to look at other alternatives which would effectively change my life forever. Reed's biggest hit "Walk on the Wild Side" hit the charts in 1972, and homosexuality was still classified as a mental illness by the American Psychiatric Association In the middle of all of this "The Wild Side" hit the airwaves and was.famously written about a gay hustler and several trans people, including his friend and Warhol-muse Candy Darling. It is important to note Lou Reed had more than a commercial or passing interests in transgender women. He had his own personal trans muse in the form of Rachel, a Mexican hairdresser variously described as transvestite and transsexual by her contemporaries. Rachel and Reed appeared to have been lovers for much of the 70s and fans suggest she inspired some of his greatest work. 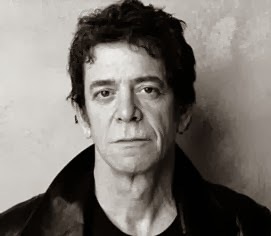 Quite possibly though, Lou Reed's greatest gift to the transgender community is he outed us all to the world. All of a sudden we existed. Plus, many of us were very exotic and even cool! At the time, Lou Reed was yet another exciting influence for me during a time of flux in my life. I was graduating college and into the Army and I most of the time I joked and said, "I got stoned and missed him"- but the opposite was true. I hope his final "Walk on the Wild Side" is a good one! RIP Lou! Read more on Lou Reed courtesy of Paris Lees ... here.